Take a drive around your neighborhood – do you think the lush, green lawns that you see are the result of leaving it neglected? No sir, keeping the garden neat and tidy with an even patch of green grass is hard work, and it gets even tougher when you throw in mowing into the equation. 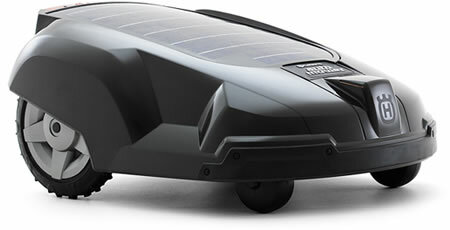 Good thing we have advances in technology such as the solar-powered Automower. It looks more like a miniature war vehicle or something out of a futuristic video game, but instead of blowing stuff up, it was specially designed to keep your pre-wired green lawn short and trim. Heck, you even have the choice to create ‘islands’ by laying the wire around plants and flower beds. Don’t worry about riling Greenpeace activists since this is 100% solar-powered, which equals to zero emissions. It also comes with safety features that prevents it from harming pets or kids, although I’m not too sure whether it will avoid snakes or not (if you’re into those kind of pets). The Automower will retail for around $3,100 and is able to trim a quarter of an acre with 10 hours of charging.